What’s up Chowdaheadz?! Summer is here and I’m going to let you in on some of my favorite summer time food recipes. I’ll roll out a new one for all you guys to try every so often. 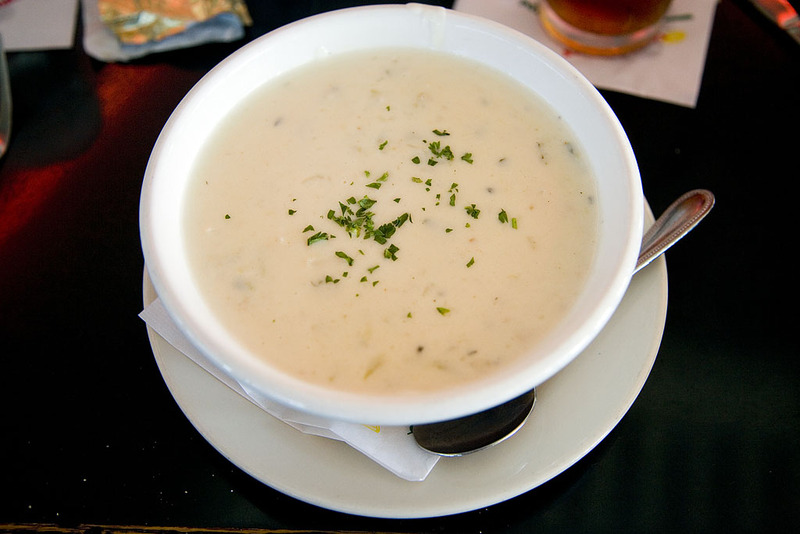 So without further ado, here is my favorite New England Clam Chowder recipe. Begin by heating up a pot over medium heat. Melt Butter and then add diced onion and the minced garlic. Cook for 2-3 minutes. Mix in thyme and cook until fragrant (about a minute). Whisk in flour until lightly brown. Gradually begin to whisk in milk, vegetable stock and clam juice with bay leaf. Whisk constantly until slightly thickened. Stir in potatoes. Bring pot to boil and cook until potatoes are tender (12-15 minutes). Stir in cream and clams until heated through. Mixing in salt and pepper to taste. Serve immediately and enjoy.